Pride and Prejudice is 200 years old and Jane Austen fans are celebrating with a Readathon on Monday at the Jane Austen Center in Bath with a 12 hour internet broadcast. I'm currently reading Michael Crichton's Pirate Latitudes and have enjoyed reading many of his books including the Andromeda Strain and Congo among others. I have yet to read Micro which was published posthumously in 2011 and finished by Richard Preston, author of The Hot Zone. I just finished listening to NPR's Science Friday Book Club discussing The Andromeda Strain, speaking with Richard Preston and talking about Crichton's writing. It's interesting so grab a cup of coffee or tea and sit back and listen. It's about 25 minutes long. Publisher's Weekly is talking about the 10 Most Anticipated Book Adaptations for 2013 which includes Mark Helprin's Winter's Tale which I have in my stacks. The cast includes Russell Crowe, Will Smith, Colin Farrell, and Jennifer Connelly which guarantees it's going to be an extraordinary movie (I hope). The book has been calling my name more and more lately saying read me, read me now. Drop by PW's blog PWxyz and vote in their Who is the Greatest American Writer Poll. I think I need to read a few more books from these classic writers because I can't decide. Since Charles Dickens birthday is February 7th, I am declaring February Read Dicken's month so start thinking about which Dicken's books you'd like to read. I failed my own challenge to read Oliver Twist last year, so here's my second chance. Your mission, should you choose to accept it, is to read something by Dickens during the month of February. I started to participate in this 52 week 52 book challenge on my own so its wonderful to see other people doing it too.I hope to follow schedule and post here every week. 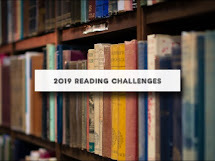 I howewer wont be joining subsequent,smaller challange like Dickens month,because of my resolution to read more eclectic and informative books. So week 5 -Philosophy of Science.A very Short Introduction. I am certainly very grateful for discovering Very Short Introduction series which are basically 100 or so pages long primers about variety of themes(about 400 right now) from philosophers and critical theory to famous and theories writers.It could be main reason for me having a chance of being able to finish this marathon. Book itself follows concept of science and how it can be understood and analysed.It is quite rudimentary but it after all is a VERY short introduction and it made me interested in reading about subject it represents so it did its job. Glad you decided to join in. The short introduction books do look quite interesting and will have to check to them out. One of the parts of the 52 Books challenge I am enjoying are your posts for each week. Thanks very much for those. That is a great list of blogs to seek out and follow. I am participating in the Science Fiction Experience at Stainless Steel Droppings this month and in February. The only blog there I don't check in on regularly is Murderati. I will have to check that one out again. Aw thank you, makes me happy to hear that you are enjoying the posts. This was my 4th book. The Girl in the Glass but last weeks was closed. So I linked with this week. Hope that was Ok. Thanks. Perfect. What ever book you are on, you link to it during the current week. Sigh. I've read three books and I'm working on Cutting for Stone, which will probably take me a while. I don't think I'll keep up with a book a week, but I'm already reading more than I ever have! If you are reading more than ever, then that's definitely a plus. Keep plugging away. There are several of those adaptations that I didn't even know were based on books! I can't wait to see The Host based on Stephenie Meyer's book (unless of course they ruin as is too often the case). And I can't imagine how badly they could screw up the 2nd Percy Jackson book because the 1st one was TOTALLY unlike the book. Yes, it will be interesting to see how they handle it. I actually read a cookbook! A Farmer's Wife is a cookbook that's almost as good as a 'real' book. :) Thanks for hosting! Always fun reading through cookbooks, especially old fashioned ones. I'll have to check this one out. I always seem to be the last to post. My week seems out of sync! No worries. You could always wait a day or so and be the first to post on Sunday! How do I add the books I have read with link to reviews? Copy and paste the url for your review to mr linky. Just make sure to go to the general address for 52 books so you can link on the current week. We are on week 6. Click on the header and it will take you there.